So I've noticed a fair few fellow followers of Dr Who but no thread about the show here...what's up with that? This can be a place where outbursts of Dr Who excited-ness can go. 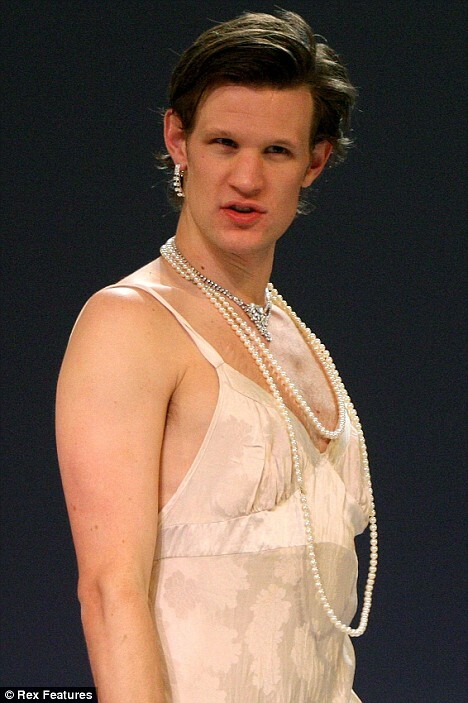 and a photo of the new doctor: Matt Smith...in drag?! Ok, don't be a-scaring me on the day I see Matt Smith's first episode! Haha! I actually am seeing it tonight instead of watching it last Saturday, April 17 on BBC America because - well - I had my first OK Go concert to go to! My laptop has quite a bit of fail going on, but I'll try to get some sort of something interesting stuff up at some point. Anyone like Classic Who, too? I grew up with Tom Baker and Peter Davison on PBS. Yay, Channel 11 Chicago! 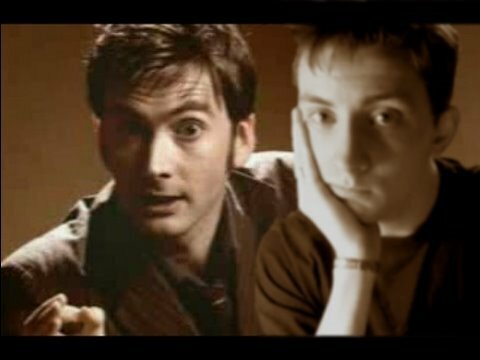 You're in the UK and I'm up on you for Classic Doctors? Wow! I'm awesome! J/K! I haven't seen the Cushing movie, that would be some sort of mind trip for me. BTW, I know nothing of this "bum" of which you speak. Nope. Uh uh. Especially bums that amazingly exist on skinny white boys - like my tall, skinny, intelligent, snarky husband with often messy dark hair. I'm going to have to avoid this thread because we don't watch when the episodes air, we wait and buy the DVDs. I have seen William Hartnell, Tom Baker, Paul McGann, Christopher Eccleston, David Tennant, and Peter Cushing as The Doctor. I have loved them all. I fall in love with one and vow that I will not like the next one but I fall in love with that one too. Every time. They have chosen excellent actors to fill the role. So, at this point I dislike Matt Smith's Doctor but I know that will change. Facebook User said:I'm going to have to avoid this thread because we don't watch when the episodes air, we wait and buy the DVDs. I have seen William Hartnell, Tom Baker, Paul McGann, Christopher Eccleston, David Tennant, and Peter Cushing as The Doctor. I have loved them all. I fall in love with one and vow that I will not like the next one but I fall in love with that one too. Every time. They have chosen excellent actors to fill the role. So, at this point I dislike Matt Smith's Doctor but I know that will change. That was me. I posted this. Will I ever remember to log out of Facebook when I log on here? Well, I'm only in the midst of my teenage years so I've got a lot of catching up to do with the other doctors but I agree with samanferr about loving the previous doctor…knowing a new doctor's coming…being skeptical about him and stuff then when you watch the first episode or something and you fall for him. They chose a great companion as well. This thread is an excellent idea, although I need to caution us all re: spoilers. The UK is getting new episodes 2 weeks before the US is. The Brits got to see the Weeping Angels on Saturday and we won't until May 8, although we will get our episode without a Graham Norton cartoon, LOL! My favorite line from "The Beast Below" (the episode that aired in the States this weekend) was hands down "I'm the Queen, Mate. Basically, I Rule." 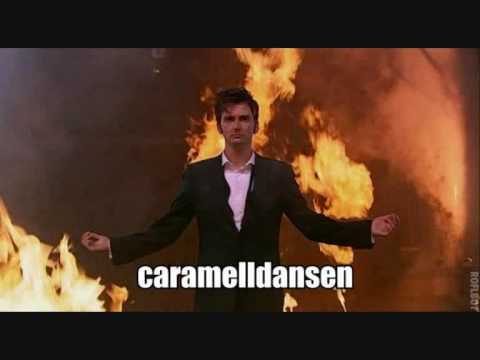 I feel it pertinent to mention that my husband is leaving me for Amy Pond any day now. He's got a thing for cute redheads much like I have a thing for (how did you put it, Amber?) tall, really skinny, intelligent, snarky men with often messy dark hair. haha, cracks me up everytime i say that (no pun intended) jeez what is up with me today? I'm going to have to avoid this thread because we don't watch when the episodes air, we wait and buy the DVDs. Tall, skinny, intelligent, snarky men with often messy dark hair for the WIN! Becky's number is 23, yeah? Math Required Win, then! Actually, it's all of ours. 23 is a Secret Dakota Ring song off the first CD, "Do Not Leave Baggage All The Way" (which you can find on iTunes, but the physical copies are sold out). In case you also didn't know, Secret Dakota Ring is Andy Ross' side project. We can fill you in some more about that if you need. AH, the origin of 23! Cool. Somewhere I found a link to YouTube with the Fade to Black video - how adorable! And someone as a gif from that on their sig line - I'm so glad I saw the video because I couldn't decide if that was Aross or not! I bring a cute and funny alternate "Blink" conversation, by a YouTuber I started following after seeing this. That was my favourite joke for years. Here it goes again, here it goes, here it goes again – seriously, there's an outrageous amount of running. 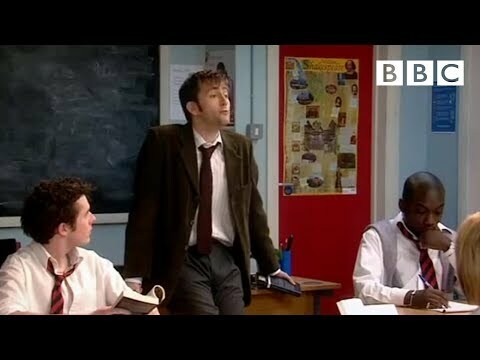 And I just found yet another way to lose a few hours on the 'Tube – keywords Doctor, Who, Ok, Go. In other news: "It's spectaculous. It's gonna be, like, rudonkykong…"
"It's spectaculous. It's gonna be, like, rudonkykong…"
Thanks, Jade! This thread totally needed a bump! Gosh I love that illustration, it's SO adorable! Such great caricatures! Hey, BBC America just showed "Cold Blood", next week is the one with Vincent Van Gogh, just to let you know where the US is at in the scheme of things. I hear the finale has already been broadcast in the UK? I just watched Cold Blood a second time ( in the US & I don't have cable. that's as far as iTunes has gotten this season). I had to make sure that the blubbery emotional outburst I had while initially viewing it, at 2 a.m. on Monday morning after editing for 12 hours straight, wasn't just a product of severe sleep deprivation. Final analysis: Damn fine writing! And (Dare I? Oh, go on, then…) Matt Smith may actually rival DT in the preternatural ability to convey aeons of soulfulness and sorrow in a two-second glance.